It’s an annual rite. Oscar ballots are announced and people gripe about what movies and actors were left off. Here are 10 of the most egregious omissions/snubs. This movie deserved more awards than just Best Sound Mixing and should have been rewarded for George Lucas not directing it. It had everything, comedy, action, romance and even a kiss scene that millions of viewers would later realize was actually between a brother and a sister. The voters really dropped the ball on this one. 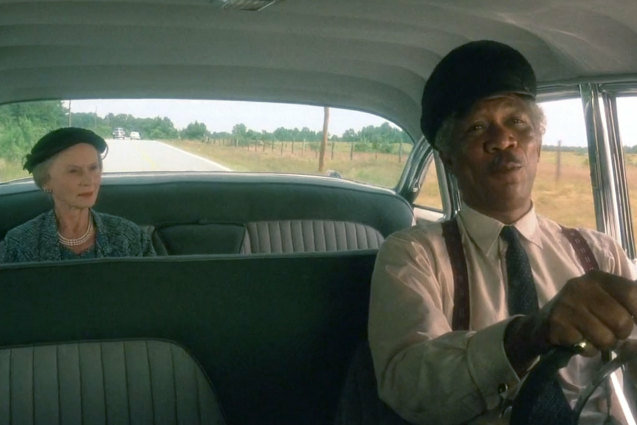 Morgan Freeman might occasionally mutter, “If I’d played a guy in a wheelchair, I’d have won.” He lost out to Daniel Day-Lewis that year, which was a shame, since he and Jessica Tandy put on a tour de force of acting in this film. Tim Robbins climbed through a sewer and STILL lost to the Tom Hanks juggernaut Forrest Gump. Robbins has had a very underrated career in my eyes, though I’ll always see him as “Nuke” LaLoosh. Steven Spielberg must have been feeling blue after being snubbed as Best Director. He probably wanted to feed the voters to Jaws. Spielberg is a brilliant director, but he has definitely gotten the short end of the stick when it comes to movie awards. The late Heath Ledger won as the Joker, but the movie lost out to Slumdog Millionaire for Best Picture. I guess the voters didn’t want to vote for a movie about a guy with pointy ears and a cape. It certainly was better than the next movie in the series, The Dark Knight Returns. All work and one stinkin’ career Oscar made Stanley Kubrick sad. All work and one stinkin’ career Oscar, and that Oscar wasn’t even for directing! Kubrick definitely died with his eyes wide open about how the politics of Hollywood awards were won. What was eating Grape was DiCaprio’s being robbed of an Oscar. He turned in brilliant work, especially for someone who had previously only been famous for appearing on Growing Pains. The Oscar voters disagreed with early ’90s alt-rockers King Missle’s assertion that Scorsese “makes the best f*****g films” and kept him shut out of Best Director awards up until 2007’s just-okay The Departed, which really felt like a consolation prize. It’s a shame, since he can tell a story like very few directors. The comedy troupe probably wanted to lob the Holy Hand Grenade at the Oscar voters for not nominating this brilliant movie. Maybe the voters held the fact that they ran out of money and had to film a hasty ending against them. The Oscar voters apparently thought this movie directed itself, even after it collected a host of other nominations, including Best Picture. Ben Affleck has gotten a lot of guff about his acting ability (especially with the announcement that he would play Batman), but he’s a fantastic director. It’s not your fault, Ben. It’s not…oh, wait, wrong movie.